Ask any finance expert and he’ll probably say that one of the best ways to generate repeat business is to give away promotional items like custom book matches. They’re handy, economical and effective. But how can these products encourage customers to do business with you on a regular basis? 1. Providing the product with unlimited exposure. Yes, these items can give your business all the exposure needed. Let’s consider custom book matches. Give them to your customers on the businesses anniversary. Let’s say you gave away a hundred pieces to different customers, and out of this number, 10 people kept their color matchbook for future use. When the need arises (stormy night; lighting a bonfire or a candle with no lighter in sight), that matchbook will be pulled out from its hiding area, used in front of other people who get to see it. 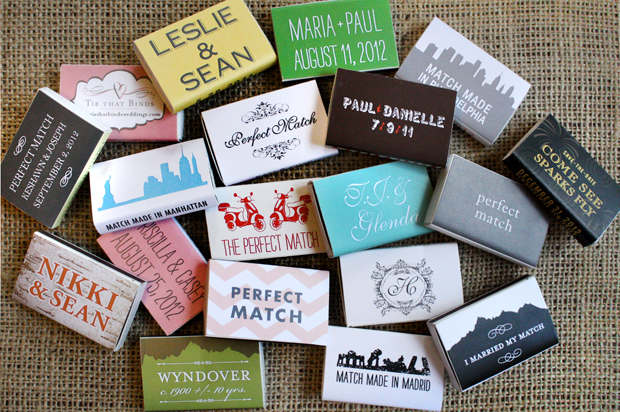 Imagine how much talk each matchbook will generate? That will be hundreds, even thousands of people who will find you and your company helpful and definitely a business that they won’t hesitate to do business with – over and over. 2. Promoting your company’s gratuity. How best to show how much appreciation you have for your valued customers than giving them something useful? Surveys show that promotional items like personalized book matches are seen as useful by consumers. In fact, long-time customers who receive promo materials are more likely to buy more and more frequently. 3. Increasing awareness for your brand. Why is brand awareness so important that business owners pay top dollar to advertising companies? It’s because the more customers who recognize and remember your brand increases their chances of buying. 4. Engaging customers. Use personalized matches to connect with your customers. Just make sure that your contact number or email address is printed on the box so customers can make contact if and when they need a product that’s similar to yours. 5. Providing cheap but effective advertisement. To top it all, these promo materials are cheap. Basic designs cost less than a quarter if you buy them in bulk. And since they are cheap, you won’t hesitate to give a couple or more of these items to consumers who might find you caring and considerate. To reward you for your efforts, these consumers might visit your store and buy from you again, over and over. Custom book matches may be cheap, but they are proven efficient when it comes to acquiring new customers and retaining the old ones.